There’s some literature that is assigned the category “children’s books” sometimes that limitation of audience is appropriate, but often the constraint deprives adults of wisdom and delight, that’s the case with the Jungle Book. I’m approaching my sixth decade and haven’t interacted with Mowgli since my children were small and the Disney remodelled characters filled the screens. 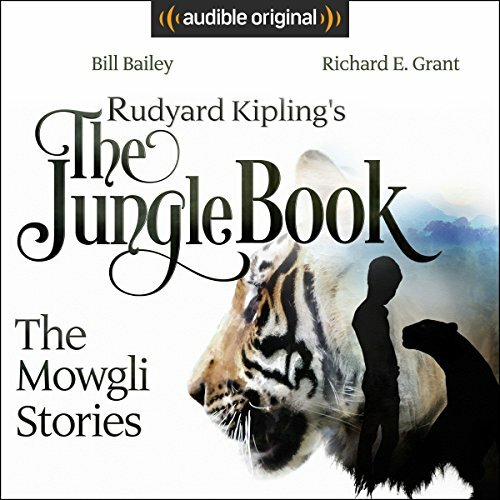 I don’t remember reading the Rudyard Kipling books as a child so when an audiobook became available for £0.99 I decided that it was time to meet the original characters. We always enjoys the Disney Jungle Book and watched it often, but the original characters are multi-layered and deeper because of it. I was surprised to find out the Kaa was really an ally of Mowgli’s. I loved the wisdom of Balloo. Mowgli is more cunning than a cartoon allows. All in all a great read/listen. More “children’s” books will be going on the list.